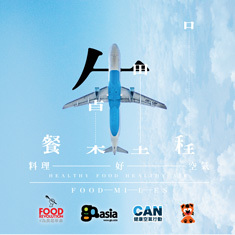 6 MobiChef designed a menu especially to support FoodMiles: Healthy Food. Healthy Air. Menu of Choice. You can simply visit MobiChef website to make an appointment and choice your desired menu for an unique and exceptional low carbon dining experience at your home! The MobiChef experience is an alternative to dining out. We connect personal chefs to diners (Gourmets) looking for an exceptional, quality dining experience at home. You can now host a private occasion at home without going back and forth between the kitchen and living room. Ultimately MobiChef is all about sharing. With MobiChef we can join together and experience a world of fine cuisine in the most comfortable place of all – at home.